… being uninspired when you blog is the worst: it just results in a sub-standard piece which most would probably click out of before they’d finish reading. As such, I took a break last week, but… the “fug” has lifted and I’m back. And would you believe it, I’m focussing on just one colour again: cream. There’s a shade out there to suit all skin-tones, not to mention a style of jeans, skirts, boiler-suits, cords, shoes… to suit all tastes. So much variety in fact, that… let me tell you: I found it very, very, verrrrry difficult to whittle down into just 7 pieces this week. I’m partial to a good pair of dungers. 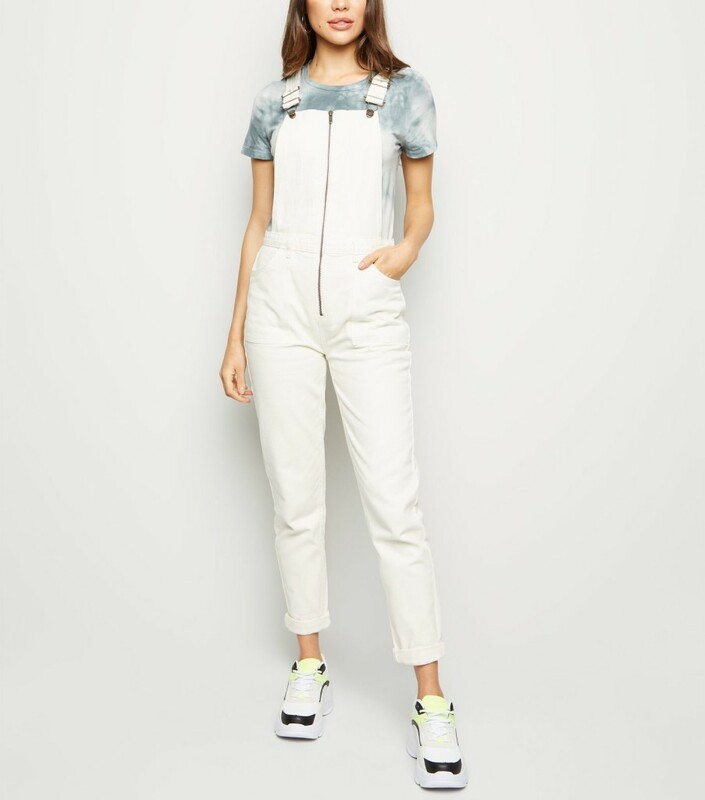 And liking these New Look Dungarees for both the zip front, as well as the fact that they are off-white, rather than bright white… just makes them softer, and easier to wear. I’d personally go for a bolder coloured top underneath, whether that’s a candy pink or navy, or stripes… or even something like a denim shirt. 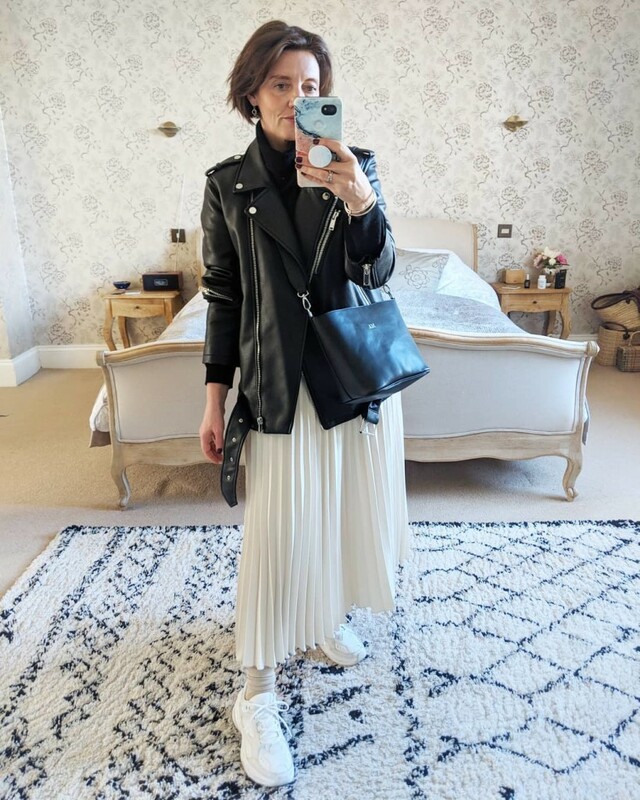 The chunky trainers pairing in the New Look pic works for me, but you could go for flat sandals/birkies, or any other trainer really. I’m thinking how cool a coloured pair of converse would look, don’t you think? Love this whole look, but it’s the top I’m gonna talk about. This pretty little embroidered top would look so, so good with denim. All the browns were seeing come through. 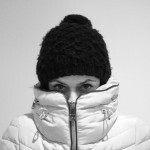 It would work as smarter / office-wear if you didn’t want to tuck it in, but it also works well tucked in, as pictured. You can wear pretty much any style of jacket/coat over it… or cardi. Basically, a very versatile top. I’m also fairly certain that, although I got lucky with a recent sized XS Arket Cardi… knitwear is pretty much meant to be looser, right? The smallest size in their fabric (rather than knitted) clothing is a 34… which I have a feeling would be far too big for any extra petite size 4/6 peeps like me. I kind of feel like… this isn’t the most flattering photo of these boyfriend jeans… none on the Next website were to be honest. But I have a feeling they’d be a really great, soft, slouchy fit… and because they are available in Petite, Regular Tall *and* extra long… how could I *not* include them?! 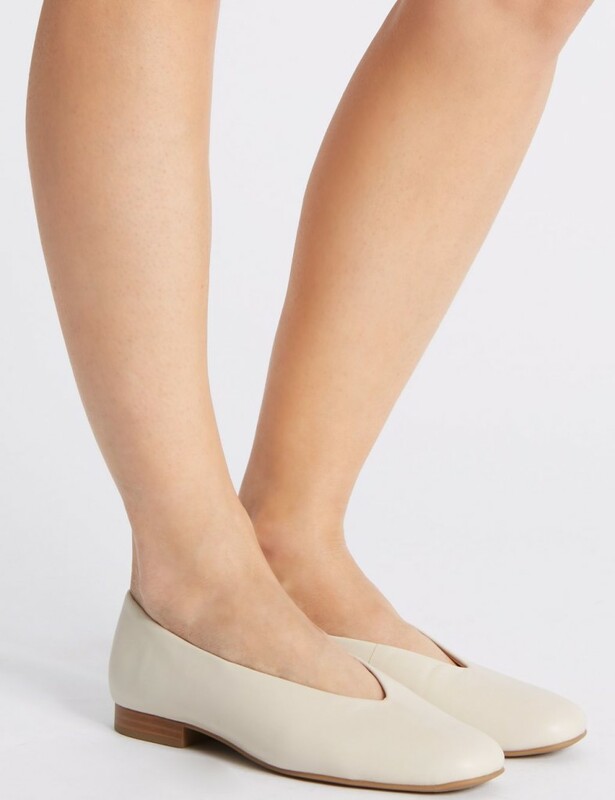 A good price too… perfect for tan flats, white sneaks… but they’d look pretty good with a heel or ankle/shoe-boots. I’d wear these with darker, bolder coloured t-shirts / knits / shirts… basically because I’m not a fan of pastels worn with off-white/cream on myself. I know there are plenty of you out there who *could* rock a pastel top with these ecru jeans. Weirdly enough though, I’d happily wear a white / ecru t-shirt with the jeans though. 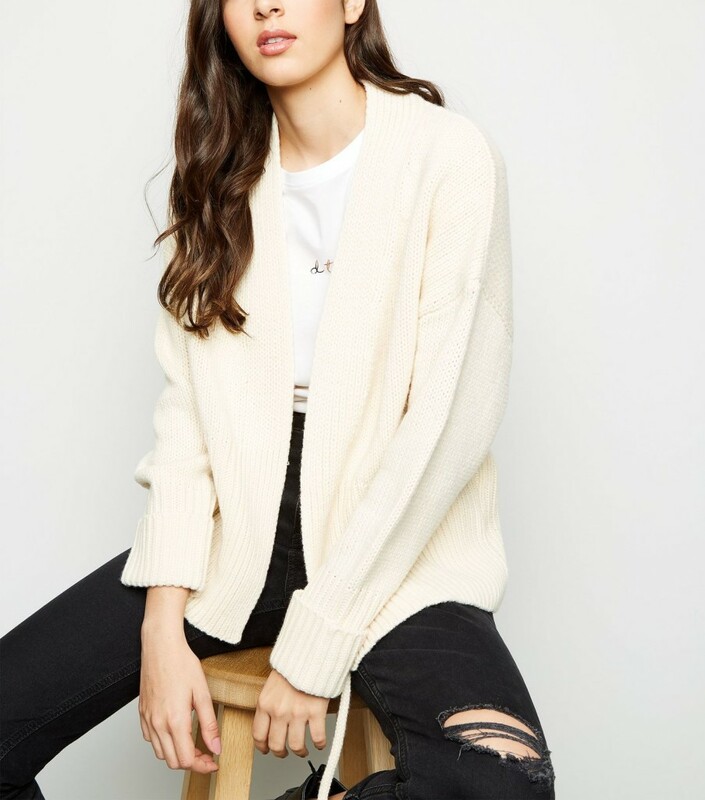 This cardi is giving me all the heart eyes. Belted, mid-length cardigans and jackets are gonna be a big thing for this season. You’d be right in thinking this one is in my basket. Fabulous piece to wear with jeans and midi skirts alike… and goes with pretty much every colour: what’s not to love? The issue of course, if you are like me… is staining. I don’t know what it is about pale, creamy knitwear but I’m notorious for getting food stains on it. So that’s a bit off putting… I just can’t be trusted with cream knits. 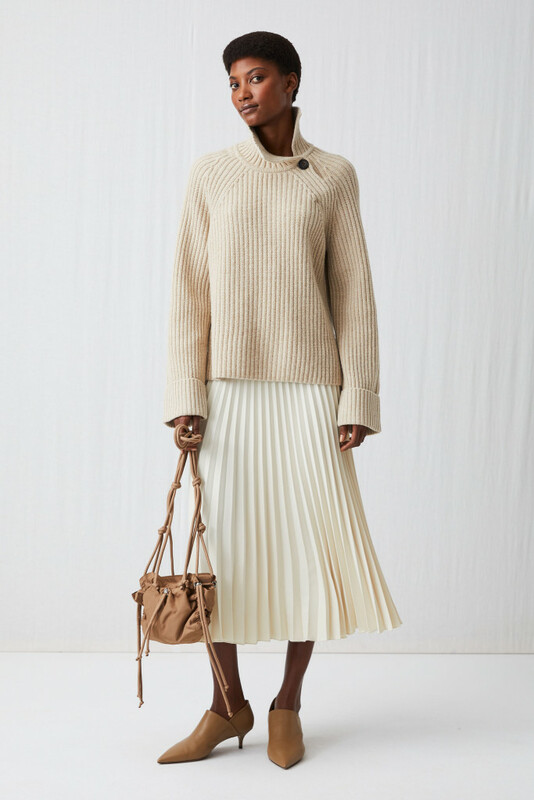 This dress is one of Mango’s Online Exclusives, and there’s not *that* much sizing availability, and certainly no tiny sizing was ever available in this style. All of which normally puts me off including such a piece in my Sunday 7. However… I couldn’t help it: I kind of fell in low with this dress. I love that it looks like a shirt & skirt but is actually a dress. I think it looks fab with boots but again, you can pretty much go for any style of footwear. We are after all, in an “anything goes” fashion climate. Luckily for me, my bank balance and indeed for my bottle of vanish in my plastic, fugly ‘laundry’ lean-to… this dress was never even made in my size. I could fashion a similar look I suppose, with a skirt & shirt? Probably wouldn’t be an exact match though. Someone buy the dress and post pics of it on insta please? Just so I can fawn /drool over it. I think this dress would look gorgeous with a beige blazer. I’m afraid I have zero memory as to whether or not, I’ve featured these M&S nana-flats before? I know I’ve been in store, tried them on – both last spring and autumn, in different colours and *loved* the comfort and look of them. However, they’re a little on the wider fitting side for my feet, so I haven’t ever bought a pair. … for me, this cream colour are my favourites. Perfect for wearing with denim, khaki, black… basically, any and everything. This *could* (in theory of course) be my perfect summer dress. Gonna kick off with length: according to the website… the model is 5’9″. Based on that, it’d be fair to say this dress would be the ‘maxiest’ of maxi’s on shorties. However, do not be put off by the cut-out fabric – it’s just fabric which can be altered, in the same way as a plain fabric. A bit scarier and trickier to handle, sure… but do-able. The style, would… in my eyes, be flattering for most body shapes. It looks great with the strappy heels, but it’d be perfect with flats, or espadrilles. The question is… what is the quality like? With Zara, the online pics and price for that matter… are no indication of how well a garment is made. You just have to take a leap of faith, and dry the gawd-darn-dress. It’s basically a white shell suit, isn’t it? And, here’s the thing… I don’t *hate* it… there are certain people I can think of, who would rock this with heels. So Brittany Bathgate, and in turn, Melissa (@backofmywardrobe70) have a lot to answer for when it comes to this skirt. So I couldn’t help it – I ordered the skirt. Alas, my first order seemed to ‘get lost in the postal system’ but Arket were brilliant about resolving the issue. My second order is due for collection as of yesterday but I haven’t had a chance to collect it yet. I can only imagine it will be *that* long, that I’d be sweeping the wooden floors of my house in it. But sometimes, you gotta try these things, right? Keep an eye on my Instagram Stories tomorrow – I’ll be sure to let you know about fit / length. 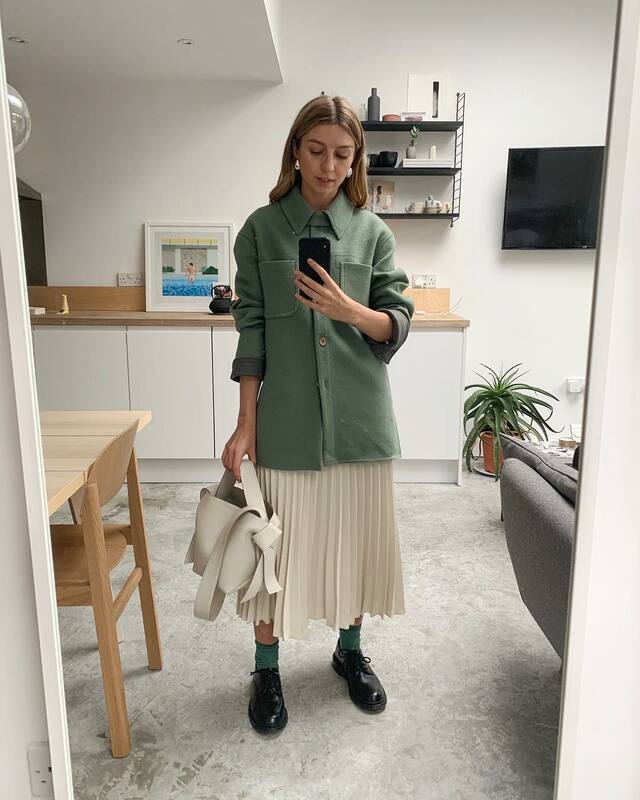 I’ve kept the Arket Kitten Heel Booties (£175) which the skirt is styled with on their website, and opted for a bold, wider Striped Shirt (H&M £12.99) which I would wear with a half tuck. 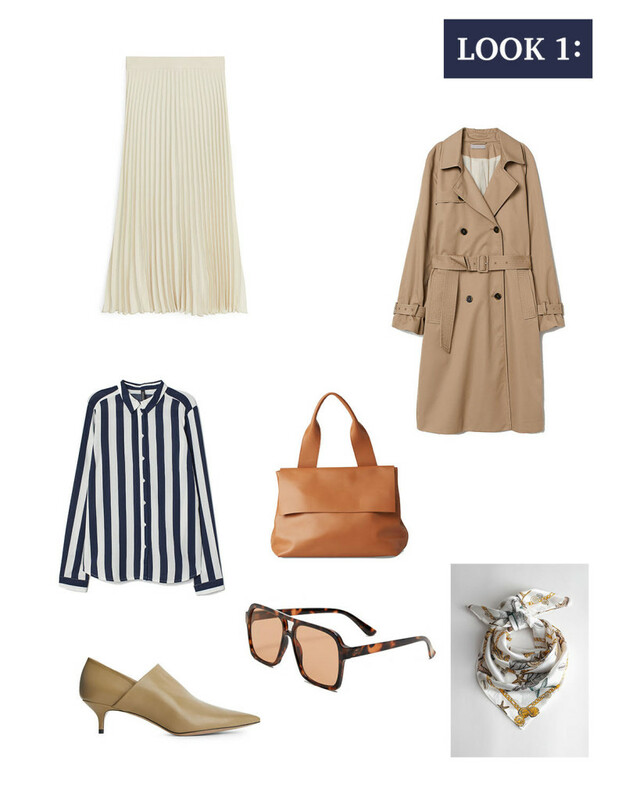 Just add your H&M Trench (£59.99) your large Cos Tote (£180) and you’re set. 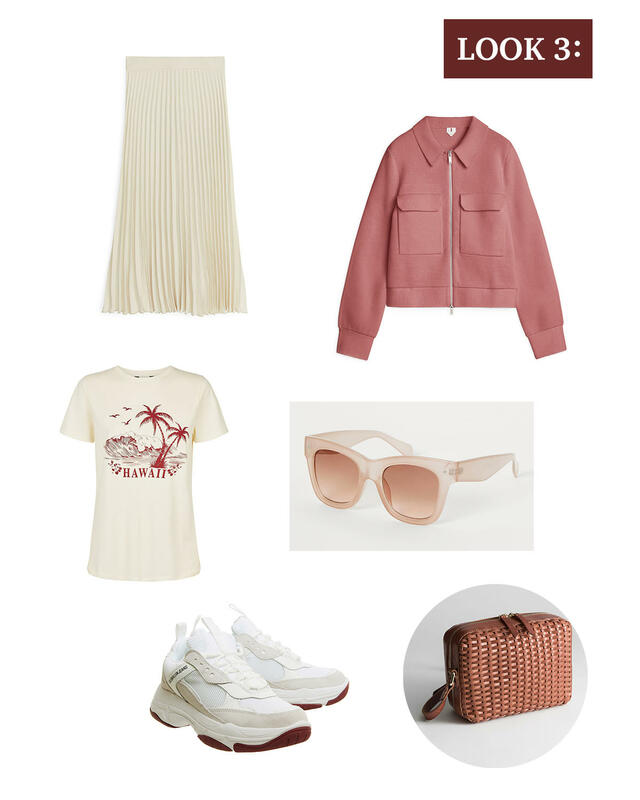 Retro Mango Sunglasses (£17.99) and Other Stories Seashell Scarf (£27) – optional. This is a failsafe bit of styling, in my view. 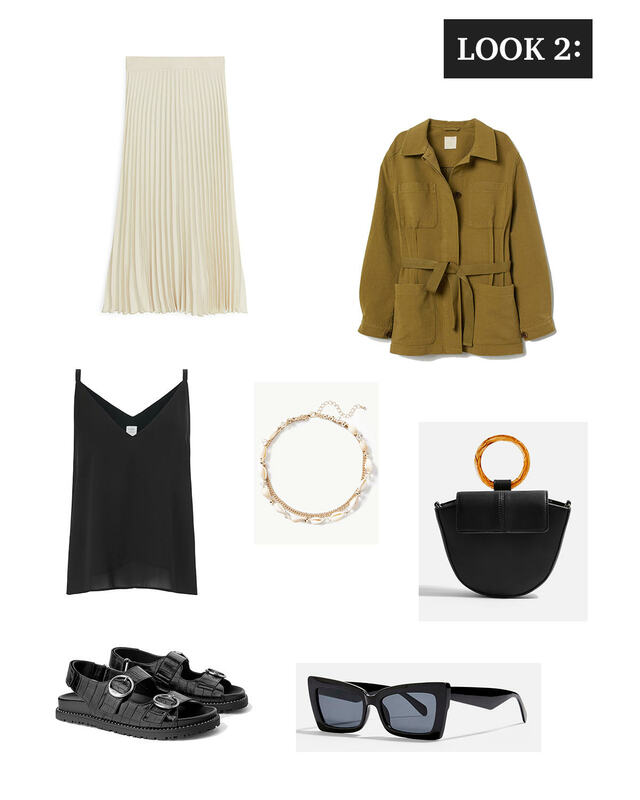 Pretty much all black with the Ivory Skirt, with a dash of Khaki. Starting with these chunky Zara Animal Print Flat Sandals (£39.99) and a simple John Lewis Double Layer Georgette Cami Top (£35) is a perfect, elegant, summer look. You can keep it simple with no jewellery, or perhaps add a statement Shell Necklace (M&S £17.50). These Topshop Koko Sunnies (£14) and Gigi Round Handle Grab Bag (£25) finish the look off perfectly. If you’re wondering what kind of jacket to go for, this H&M Twill Jacket with Belt (£39.99) would work really well. And of course, I couldn’t not include a (now classic combo of) ‘pleated skirt’n’sneaks look, could I? And that’s your lot this week. As ever – leave a comment as I love to hear your thoughts – and I’ll get back to you! OMG…. firstly being mentioned in your blog , then being alongside @brittanybathgate!!!! Thank you so much, can’t wait to see your stories and I love all the style options… going to be trying those!!!! Haha! Well you *are* both style queens in my eyes! And it was your ‘size up’ tip which made me think I ‘might’ be able to get away with the smallest size which – usually is too generous on me in Arket. Some great pieces and ideas here Bean. 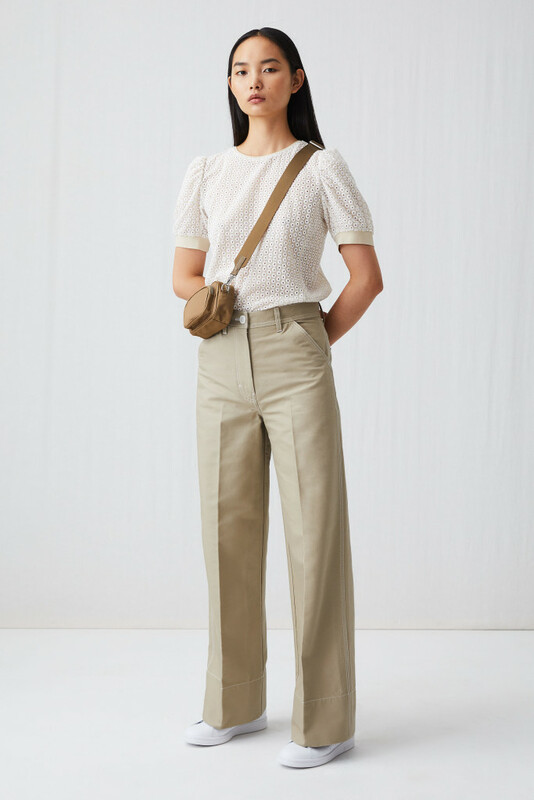 I’ve gone for some cream jeans and look forward to styling them up in summer with beige, denim and pale blues. I love cream both in colder and warmer weather… it’s so much more wearable than white and just looks good, doesn’t it?